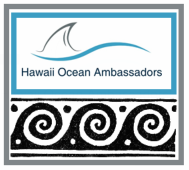 The Friends of Hanauma Bay (FOHB) is a volunteer-based 501(c)(3) organization dedicated to the conservation of coastal and marine environments, emphasizing stewardship of the natural resources of Hanauma Bay Nature Preserve. The Department of Parks and Recreation has recognized the Friends of Hanauma Bay as the official adopting agency for Hanauma Bay. FOHB hosts quarterly clean-up efforts, supports the Hanauma Bay Education Program, monitors the health of the Bay, and participates in advocacy efforts. The Surfrider Foundation is a non-profit environmental organization dedicated to the protection and enjoyment of the world’s oceans, waves and beaches for all people, through conservation, activism, research and education. The grassroots volunteer network hosts beach clean-ups, strives to promote environmental education, and participates in government advocacy. Sustainable Coastlines, Hawaii is a registered 501(c)(3) organization that focuses on beach clean-ups across the state. Sustainable Coastlines also coordinates educational programs, public awareness campaigns, and help others run their own beach cleanups. Beachcombers808 makes beachwood decor to raise awareness about the plastic pollution problem. A large portion of proceeds supports beach clean up projects and environmental education. ​808 Cleanups is a 501(c)(3) environmental nonprofit organization empowering communities to restore Hawaiʻi ’s beauty through decentralized beach, hiking, graffiti, and marine debris cleanups. Livable Hawaii Kai Nui is a registered 501(c)(3) organization. Their mission is to uphold the integrity of the East Honolulu Sustainable Communities Plan which sets guidelines for sensible development respectful of Hawaiian cultural and natural resources that make East Honolulu a unique place to live. They are also involved in protection of land through stewardship or acquisition and community education and engagement. Live to Sustain teaches people a realistic approach to sustainability. An approach that everyone can learn. Learn how to be a better version of yourself. Learn how to make daily decisions that benefit you and our environment. Everyday we make decisions that effect sustainability. The decision to exercise. The decision to eat that less than healthy lunch. The decision to throw our trash away properly. The decision to use less and therefore produce less trash all together. Its time to stop living passively. Take responsibility for sustainability. Live to Sustain.